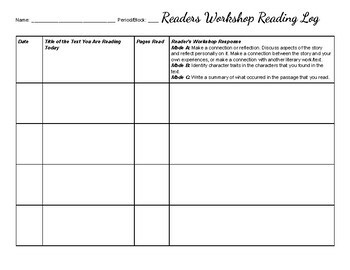 If you are conducting reader's workshop, this is a great tool for you to use. It serves as a great warm up to have students read a book of their choice and use this log to make an entry. There are three different modes: personal reflection, characterization, and summarizing.